10 Things You Might Not Know About STAR TREK: DEEP SPACE NINE | Warped Factor - Words in the Key of Geek. Geek Dave pops through the Bajoran wormhole to discover 10 things you might not know about Star Trek: Deep Space Nine. 1. 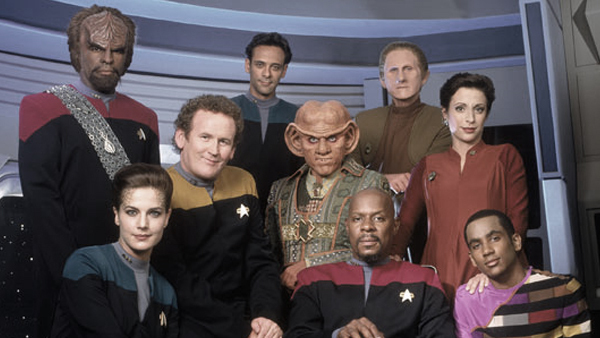 Star Trek: Deep Space Nine started life as a quite different series. Early on the producers thought seriously about making the show a science fiction western (years before Firefly). Paramount Executive Brandon Tartikoff said the concept was simple - "The Rifleman in space". A lot of pre-production work went in to this idea, the show was to be set in the 24th Century on a frontier outpost, somewhere in a desert on the planet of "Bajor". All exterior shots were to take place on a purpose built set an hour North of L.A, but in the end budget restrictions meant that the show would have to be filmed on a permanent sound stage on the Paramount lot. This would obviously be a lot cheaper, but as there was no way the production could do the frontier outpost justice on a soundstage the idea was nixed. 2. When it came to cast the role of Commander Sisko several people were offered the part before Avery Brooks. Amongst them were Eriq La Salle, Tony Todd and the voice of Darth Vader, the legendary James Earl Jones. All turned the part down, but Todd, who had originally appeared as Worf's brother Kurn on Star Trek: The Next Generation, would go on to make two appearances in Deep Space Nine - once reprising his role of Kurn and another time as an elderly Jake Sisko during the season four episode The Visitor. 3. Another person that was considered as a potential Commander Sisko ended up as a different member of the DS9 crew. Producer Rick Berman had seen the 1992 British television production 'A Dangerous Man: Lawrence After Arabia', and was impressed with the actor playing King Feisal. 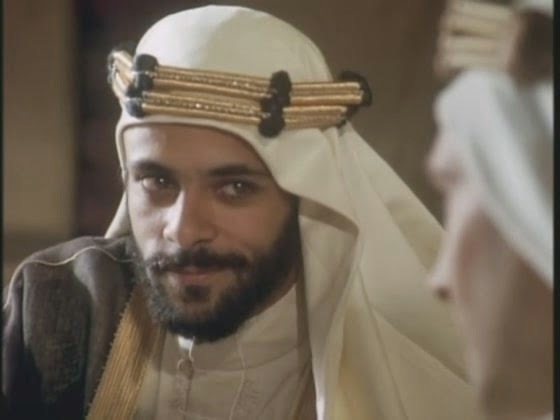 That was Siddig El Fadil (who later changed his professional name to Alexander Siddig). Berman approached El Fadil with the intention of casting him as Commander Sisko, but changed his mind when he discovered that the actor was still only in his mid-twenties, and so instead offered him the part of Dr. Julian Amoros (the original name of the space station's Chief Medical Officer). 5. 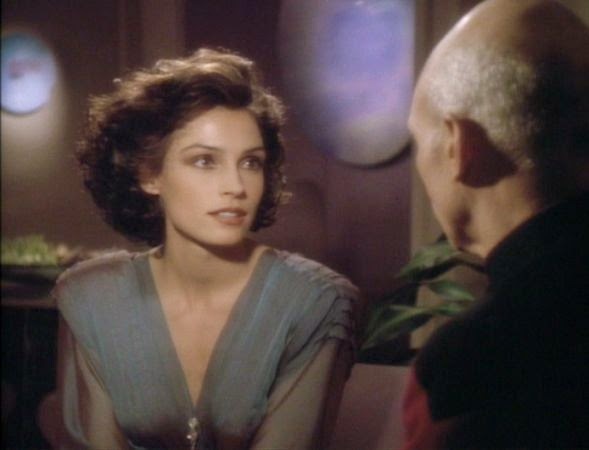 The original plan was to have a different Bajoran First Officer on Deep Space Nine, one we'd been introduced to in Star Trek: The Next Generation - Ensign Ro Laren, as played by Michelle Forbes. She would be in constant conflict with Sisko, just as she was with Picard and Riker, but in the end Forbes did not want to commit to an ongoing series, and so Major Kira Nerys was developed. 6. The initial idea for Deep Space Nine's science officer (the character that became Dax) was that of a woman raised on a low gravity planet. This would mean that in all communal areas of the station she would be wheelchair bound, but in her own quarters and lab she would be able to fly around effortlessly. Again it was finance that stopped this happening as the natural flying effect was too costly to include more than once or twice a season, which meant it was kinda pointless in a series regular. But the producers liked the idea so they resurrected the concept for the character of Melora Pazlar in the season 2 episode, Melora. 7. As Jadzia Dax was further developed, and the concept of a Trill came about, the character was going to have a large prosthetic forehead, shadowing most of her face. The producers first offered the role to Famke Janssen, who turned it down as she didn't want to commit to any further television shows at the time. 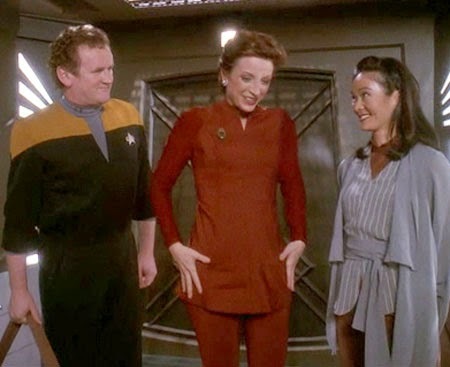 However Janssen did leave an impression on the series, she had first come to the producer's attention whilst guest starring on the Star Trek: The Next Generation episode 'The Perfect Mate', and it was her characters make up in this episode which inspired the change in Dax's look. 8. Both Armin Shimerman and Max Grodénchik auditioned for the role of Quark. Shimmerman won the part but Grodénchik made such an impression they developed the character of Rom, Quark's brother, especially for him. However, when it came time to film the pilot episode (The Emissary) Quark's prosthetic nose was not ready, so Shimerman ended up wearing the nose designed for Rom instead. Grodénchik also appeared in the pilot, but was only referred to as Ferengi Pit Boss. 9. 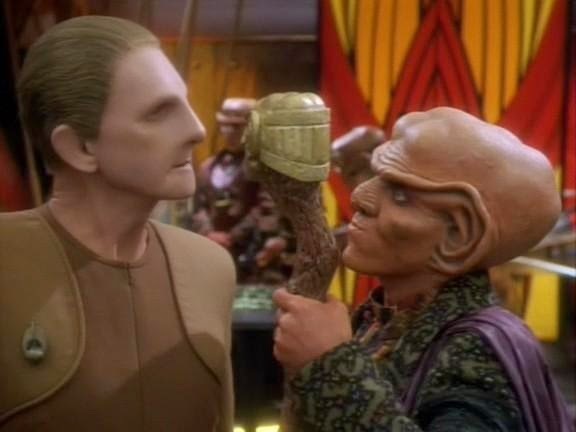 During the first season a huge earthquake hit L.A. Production was halted for the day so the cast and crew could return home to their families, but as it took up to two hours for the characters make-up to be removed, both Shimerman and Odo actor Rene Auberjonois skipped the process and went home fully made up. Apparently terrifying many drivers on their journey. 10. When the series began one of the co-producers, Peter Allen Fields, set about including some subtle references to The Man from U.N.C.L.E. - a show that had started his career when he was a writer. Amongst the subtle nods to the 1960s spy-fi series were making Garak, the Cardassian spy, a tailor, this was in reference to the United Network Command for Law Enforcement headquarters being hidden behind the front of Del Floria's Tailor Shop. Fields also included the space station's own Del Floria's Tailor Shop on the DS9 promenade, and in Quark's bar on the ATM machine, amongst the different currency symbols you will find the U.N.C.L.E. logo.